Osijek is the largest city in the east of Croatia and is economic and cultural centre of Slavonia ; a region of Eastern Croatia. Osijek is river port too; located on the right bank of the Drava River, about 25km upstream from its join with Danube River.The Capital of Slavonia and river port; located on the right bank of the Drava River, about 25km upstream from its join with Danube River. Osijek lies twenty-five kilometers upstream from the place where Drava flows into Danube in East Slavonia – a city and a port, the economic, transport and cultural center of Slavonia. The lowland of East Croatia, surrounded by rivers, is a true oasis for tourists who want to replace the city hustle and bustle with the quiet of greenery and a relaxed stay in intact nature at least for a while. It consists of the Uptown, the Fort (Tvrda), the Downtown and New Town (19th century), and Retfala. The important city institutions include the University, the Croatian National Theater, the Museum of Slavonia, the printery dating back to 1735, the gymnasium dating back to 1729, the drawing school, the zoo, the Cattle Breeding Promotion Center, the Sugar Beet Institute, etc..A multipurpose sport hall called the City Garden was built for the World Handball Championship , with five main halls and ancillary and supporting facilities – its exterior and interior designs will be a new urban trademark for Osijek. The important places of interest in Osijek is Trg Ante Starcevica – the main square and Trg Svetog Roka ; a large boulevard along the Drava, as well as the pedestrian bridge that crosses to Baranja (another Croatian region). There is Zoological garden in Osijek too, located along the Drava River. Osijek as a city is divided in four parts – Gornji Grad – The Upper Town, Tvrda – well known Baroque quarter, Donji Grad – The Lower Town and Novi Grad – the New Town. Hotels in Croatia - Book Now! Being on the Drava river, Osijek has a lot of opportunities for water sports during the summer time, as well as opportunities for hunting and angling in Kopacki Rit (Baranja) – the nature preserve park of Croatia. 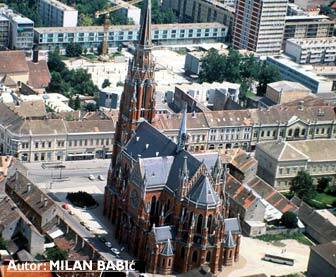 Osijek has its own airport and is easily accessible from Zagreb, Beograd or Budapest. Baroque towers: Osijek’s Tvrda tower represents a successful combination of military, urban, administrative and sacral architectures. Its central square is dominated by the General Barracks building from 1726 with the most luxurious stone baroque portal in Croatia, and Kužni pil (a monument to Holy Trinity), the only one of its kind in Croatia in addition to the one in Požega. Book your hotel in Croatia! Osijek holds many events throughout the year. They include the Croatian Tamboura Music Festival featuring tamboura orchestras from across Croatia, and Osijek Summer Nights – a series of outdoor culture & entertainment events with a rich commercial and catering offer. The Osijek City Day includes a rich culture & art program with thematic exhibitions. Numerous archeological finds and items of natural, historical and artistic value are kept at Osijek’s Museum of Slavonia established in 1877. About Tambura Music : They say Osijek is a nursery of tamboura music. The first tamboura choir in Osijek was formed in 1847 by Pajo Kolaric, making tamboura the most popular folk instrument. Osijek thus became the tamboura center, not only of Croatia but the entire Slavic south. 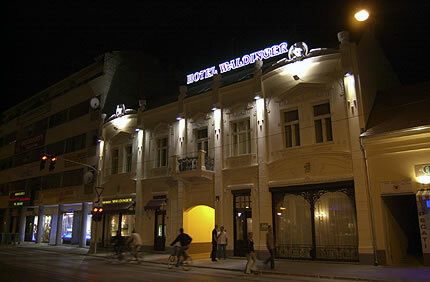 All hotels in Osijek – book here! All hostels in Osijek – book here! Museum of Slavonia – Osijek – museum of Slavonia – founded in 1877 as the Museum of the Free and Royal city of Osijek – has collection of money, weapons and medals given by antiquarian and wholesaler Franjo Sedlakovic. Related pages: Kopacki Rit – Nature Park worth visiting if you are in Osijek as well as Papuk Mountain – another nature park located on the way from Zagreb to Osijek.